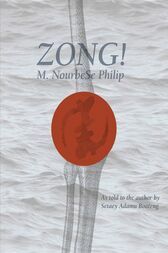 In November, 1781, the captain of the slave ship Zong ordered that some 150 Africans be murdered by drowning so that the ship’s owners could collect insurance monies. Relying entirely on the words of the legal decision Gregson v. Gilbert—the only extant public document related to the massacre of these African slaves—Zong! tells the story that cannot be told yet must be told. Equal parts song, moan, shout, oath, ululation, curse, and chant, Zong! excavates the legal text. Memory, history, and law collide and metamorphose into the poetics of the fragment. Through the innovative use of fugal and counterpointed repetition, Zong! becomes an anti-narrative lament that stretches the boundaries of the poetic form, haunting the spaces of forgetting and mourning the forgotten. Check for the online reader’s companion at http://zong.site.wesleyan.edu.